Front side and back side. Each of the side part. Left one contains warning and right one contains a small details. 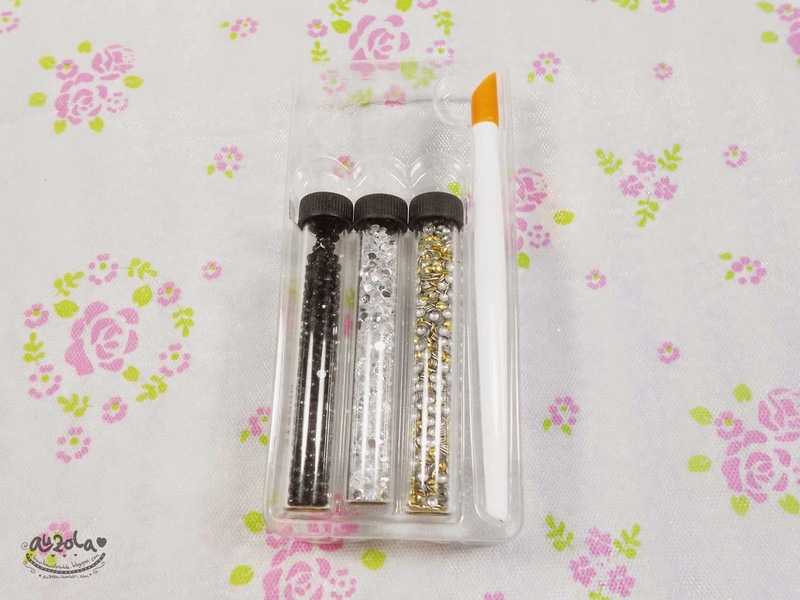 Three little vials contains studs and also one pick up tools. 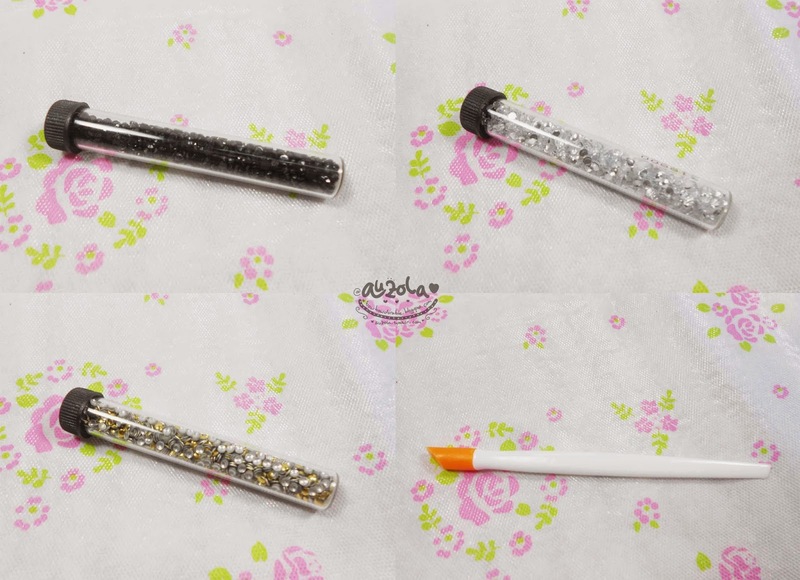 Both the black and silver one was more like shinny little flat back rhinestones, while the gold one is more like a studs. This is when i tried to apply it to my little nails. Im sorry about the baby nails, thats all i have. Anyway i have to put on top coat so i can stick the studs. It'll be pretty if my nails weren't so little and good for nail art. 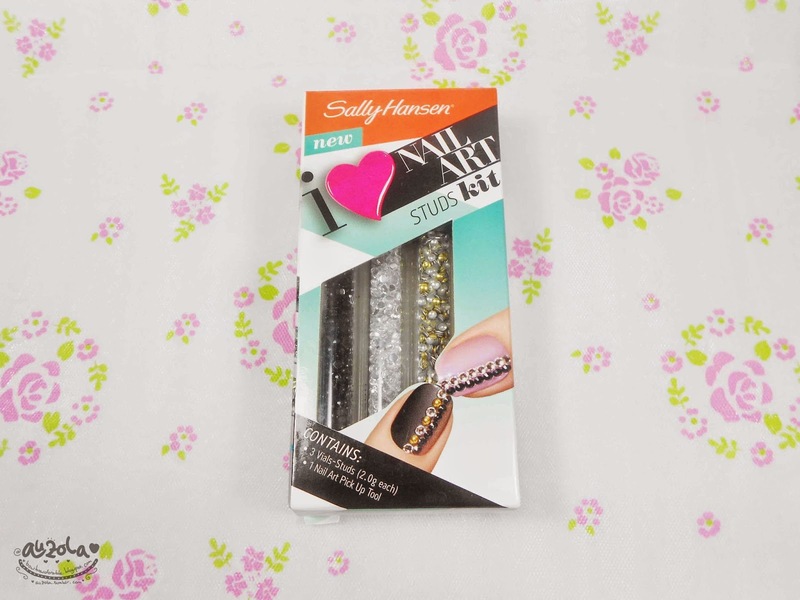 This cute studs are nice for nail arts. 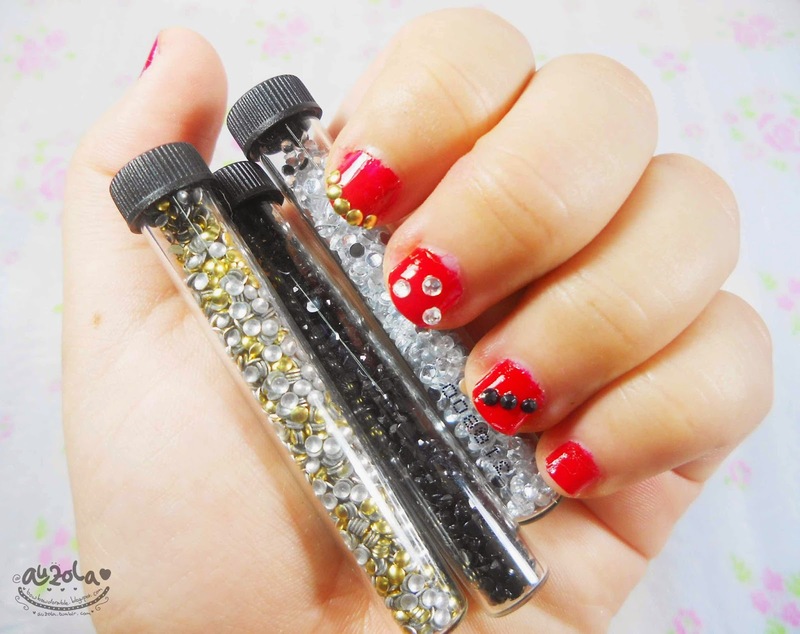 The quality is good and one vials quite enough for few different nails art. The only thing that bug me is that the pick up tool is not really helpful picking up those studs, idk, the rubber was too hard or what, but it didnt pick the stufs quite well. 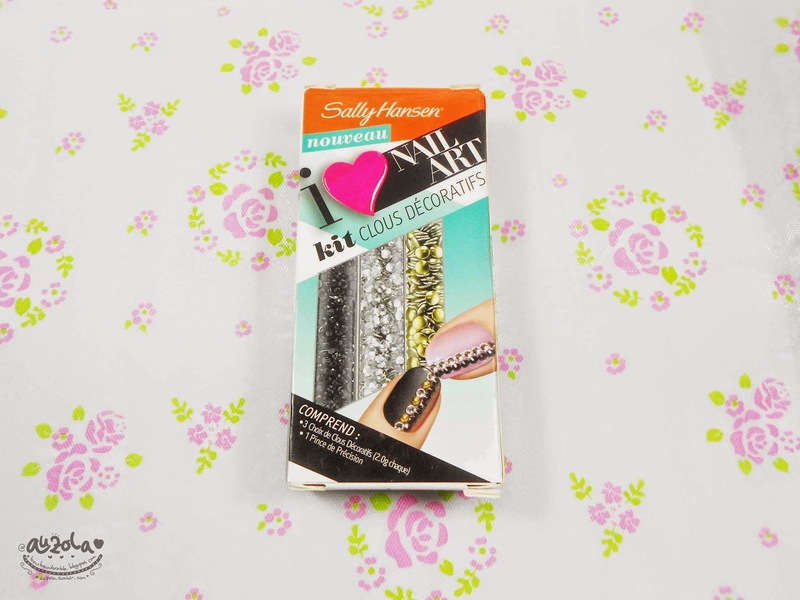 "First you need a plate (that you would use only for nail polish/nail art activities). On the plate you need to put a drop of top coat and your studs (do not mixed together). 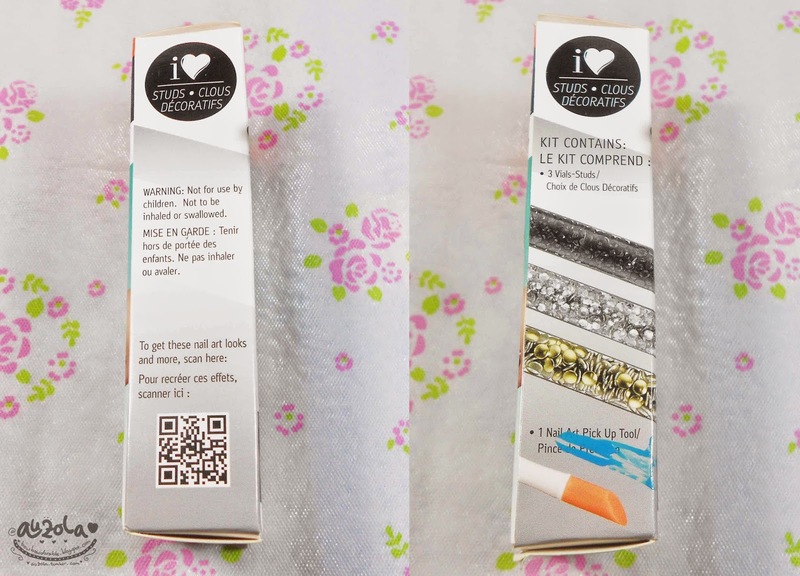 You need to dip the tool (that is included in the kit) in the top coat, then on the stud which will directly stick to the tool and then you can put the stud on your nail." 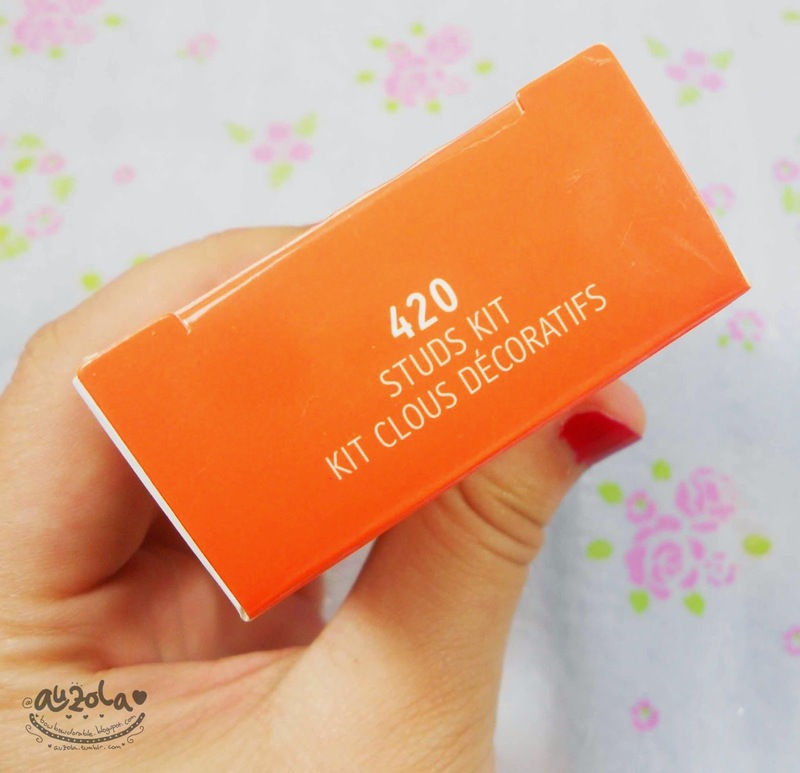 In conclusion this studs kit is a must have item if you like to do different kind of nail art, the studs is nice and not that so expensive either for three vials of this small studs. Thats all! I hope you enjoy my simple review of this studs! 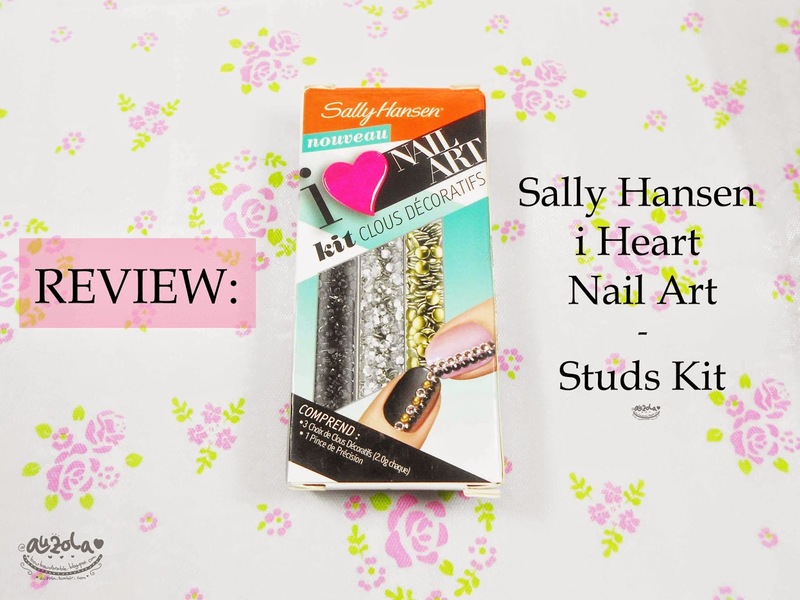 If you want to try this i Heart Nail Art collection and kit from Sally Hansen you can get it on major department store like Sogo and else. 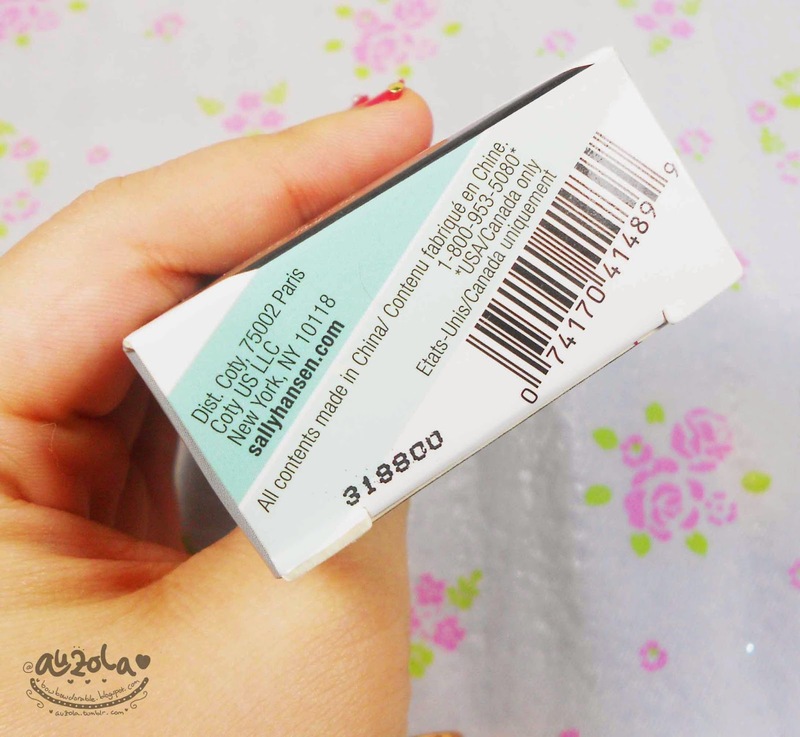 Plus also at selected drugstore like Guardian and Watsons counters!